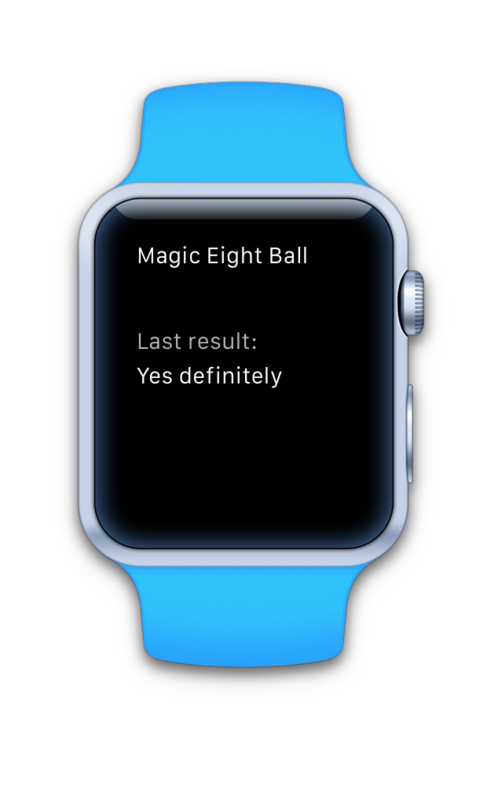 For my "Your First Xamarin.Forms App" talk at Evolve this year I built a very simple version of the classic "Magic Eight Ball" fortune-telling app. 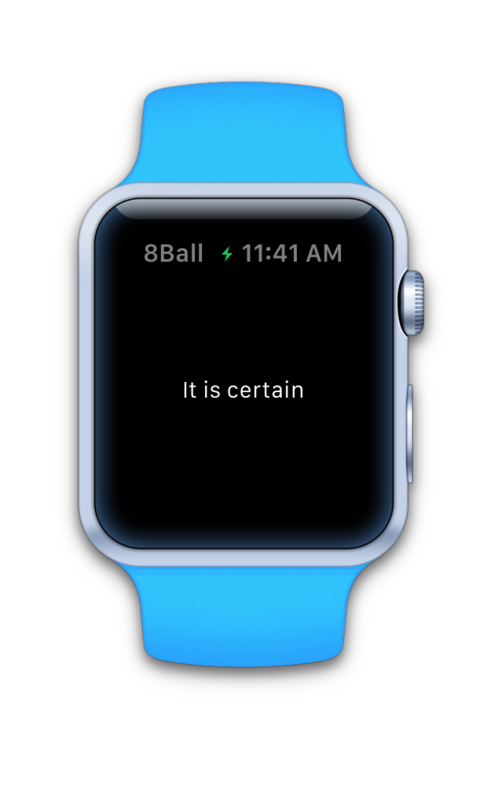 Seemed like a perfect example to adapt for my First Apple Watch App. It's built in C# using Xamarin (of course); Xamarin's Watch Kit Preview came out today! 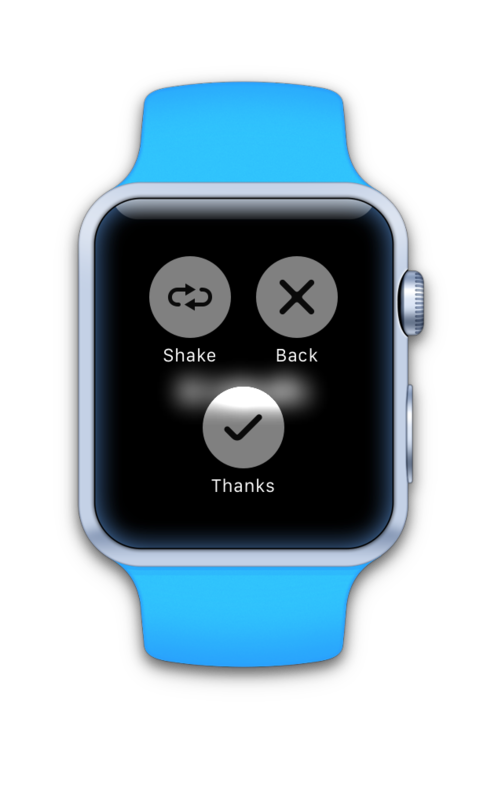 Here is the finished app: a simple display that answers any question you ask ;-) Force Touch on the screen to pop-up the menu to ask another question (Shake), or simply say "Thanks". Grab the code from Github. a Watch app which is only the storyboard and image resources that go to the watch itself. After creating the three projects in a new solution, the first step is to draw the user interface in Interface Builder. Right-click on the Interface.storyboard (already in the template) and open in Xcode. Remember: the storyboard (and any image resources) are the the only things that get installed on the watch itself. With the user interface defined in the storyboard, I just needed to wire-up the outlet and action I created in C# to make the app work. The C# code will run in the Watch Kit Extension - on the iPhone itself, not on the CPU of the watch. First I copied the Magic Eight Ball responses from my Xamarin.Forms app (it's a simple string array, called options) and then I started to implement methods in the InterfaceController. The Awake method is called when the scene is created, so this is where the code selects its first random response to show the user. I store it in a local variable lastResult and also in NSUserDefaults (for the Glance, explained later). Finally, the menu's Shake button should choose a new random response, so the action is implemented to generate new new answer, set the local lastResult variable, the NSUserDefault, and also the label's text. I also implemented Glance mode, which simply displays the last response generated by the app. The watch app template already includes a GlanceInterfaceController so I just had to drag a couple of Labels onto it, and Ctrl + drag an outlet for one, so I could change the text programmatically. And that's it! Around 10 lines of C# code to build an Apple Watch app. Download the Xamarin Watch Kit Preview, get the code from Github and try it for yourself!